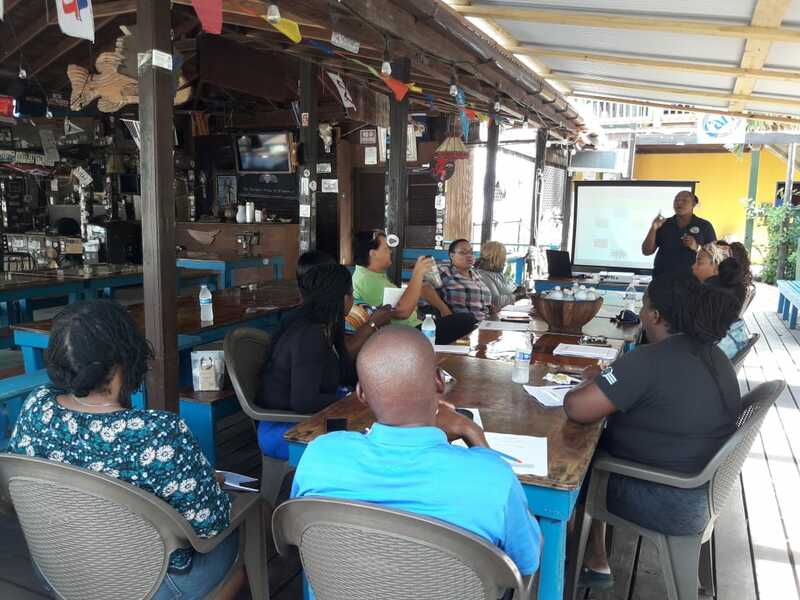 A group of certified business continuity managers from the Department of Disaster Management (DDM) has been on the ground on the Sister Island during this week providing training for small business owners. Deputy Director, Dr. Evangeline Inniss-Springer said that it is important that all businesses operating in the BVI have a business continuity plan. The training is part of the SMART Communities project being implemented in three communities throughout the BVI namely Jost Van Dyke, Sea Cows Bay and East End/Long Look. The training material was developed by the DDM and is in keeping with the Emergency Management Accreditation Programme (EMAP) and other international BCM standards. The training was delivered over a 3-day period and included identification and prioritisation of risks and hazards, evacuation planning, damage assessment as well as continuity of operations measures that focused on protection and mitigation measures for key resources and identification of alternate sites and suppliers. Businesses also benefitted from Basic First Aid and CPR training that was conducted by the BVI Red Cross. Dr. Inniss-Springer said that there is a yearning for this type of support and training on the island of Jost Van Dkye. She said 25 persons were registered and it is expected that at the end of the training session, plans will be prepared for close to ten businesses that operate on the Island. “We have committed to working directly with each business to help them to complete their plans and to show them how to adequately incorporate protections into the daily routine so that it does not become a burden for them,” she said. Dr. Inniss-Springer further explained that Business Continuity Management does not have to be expensive for small businesses. The DDM staff members have developed a template that small businesses can use to prepare their plans which was shared with the participants at the workshop. Other small businesses throughout the Territory can access this template as well as the in-house expertise that exists within the DDM. The department will provide similar training to small businesses in East End/Long Look and Sea Cows Bay in October.